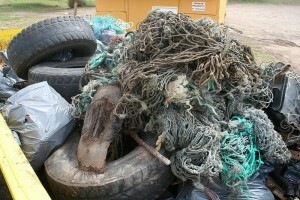 Friends of Kaena is organizing a beach cleanup on September 15, 2012, 8:00 am – 11:30 am at Ka`ena Point (Mokuleia route) in conjunction with International Coastal Cleanup Day. Volunteers around the world will be spending the day picking up marine debris and contributing to a global data collection. Click here to register. Directions: Take H-2 to Kaukonahua Road (Route 803) to Farrington Highway (Route 930) past Waialua and go about 1 mile past Camp Erdman until you reach the parking lot. 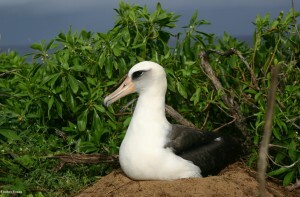 It was a record nesting season for the Laysan Albatross “Moli” this year 2012 thanks to the predator-proof fence. Pacific Rim Conservation completed banding all the albatross chicks on the island, and it was a record year for the island- we fledged the most albatross chicks ever! This is primarily because of the record # of chicks produced at Kaena, which is because so many of them hatched since they weren’t being eaten this year. chicks fledged: 31 (74%)- the previous highest # of chicks fledged was 24, so we blew that out of the water. We have also had some exciting visitors the last few months- including a Brown Booby that has been hanging out regularly; as well as banding our first Black-footed Albatross last month. Aloha! Please join us for our annual meeting on Saturday, May 19, 2012 at YMCA Camp Erdman in the Eagle Lodge from 10:00 am – 12:00 pm. Learn about Friends of Ka‘ena’s advocacy and position on current management efforts being implemented at the park, our partnerships, service projects, clean-ups and naturalist-led hikes hosted every first Saturday of the month. Get your hands dirty and give back to Ka‘ena! Experience the lessons and hands-on activities we are doing with students through Conservation Connections at Camp Erdman. Make the connection yourself and become a steward. Our goal is to reach all 4th graders on the North Shore next year and continue to grow. Please join us on this day of service at Kaena Point. Friends of Ka`ena will be participating with Schofield Barracks Army Garrison, DLNR and we would like our Hawaiian community represented as well. Please pass this information to everyone who has an interest in helping our efforts to protect and preserve our precious resource, Kaena Point. The Friends of Kaena will support the delineation of the main upper access road. Meet at the end of Farrington Highway in the parking lot. Details for the event are found below. U.S. Army Garrison-Hawaii Soldiers and civilians will join together with the Native Hawaiian and environmental community to help restore one of Oahu’s most beautiful treasures – . Volunteers will pick up trash and marine debris along the shoreline and assist with marking the main and shoreline road alignments. This Earth Month activity is in partnership with the Department of Land and Natural Resources and an initiative under the Army’s covenant with Native Hawaiians. For more information, email DLNR at marigold.s.zoll@hawaii.gov. 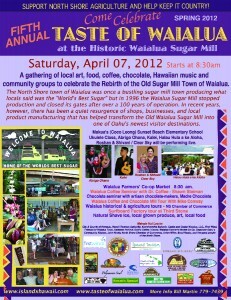 The North Shore town of Waialua was once a bustling sugar mill town but in 1996 the Waialua Sugar Mill stopped production and closed its gates after over a 100 years of operation. In recent years, however, there has been a quiet resurgence of shops, businesses, and local product manufacturing that has helped transform the Old Waialua Sugar Mill into one of Oahu’s newest visitor destinations. 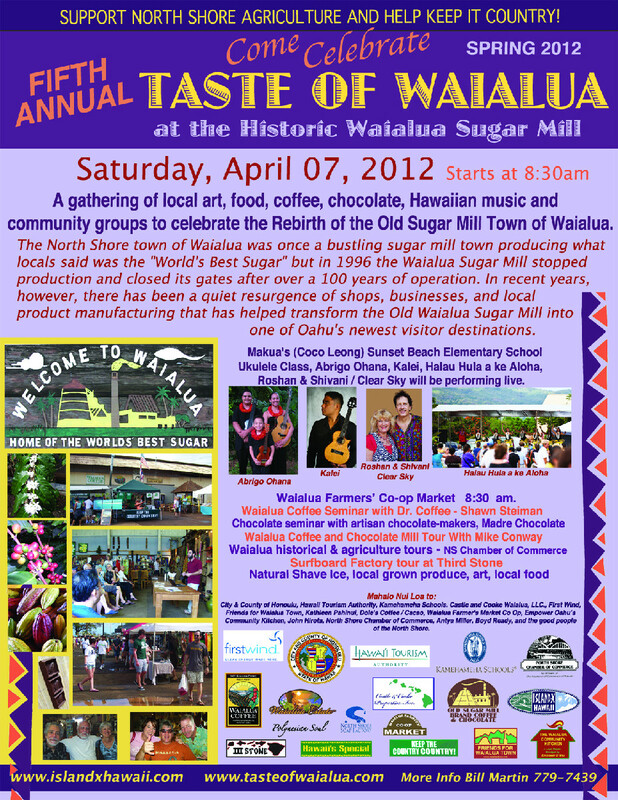 Come join us on Saturday, April 7th for a gathering of local art, food, music, community groups and to celebrate the rebirth of the Old Historic Waialua Sugar Mill town. Vehicles on the beach and reef shelf. Last Saturday, members of the community, Friends of Kaena, and fishermen interested in the preservation of Kaena Point met with members of the KPAG committee. Also present was our local State house representative Gill Rivieria. 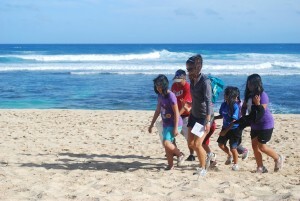 The purpose of the walk-out, led by DLNR head William Aila, was to view damage caused by off-roading and careless use and to establish designated road and beach access for Kaena users. Mr. Aila explained that certain areas would be off-limit to vehicular traffic so they would have a chance to re-establish vegetation. Other areas would have limited vehicular usage as long as vehicles stayed within designated road areas. Several fishermen expressed interest in helping to replant the area. Off-road route to the beach area through dunes and native vegetation. Board member Marsha Taylor, of Waialua High School, has established a plant nursery with the help of her students to propagate the native plants of the area and has invited Kaena fishermen and all interested parties to participate in future plantings. Presently, fishers want vehicle access to the shelf and beach areas. 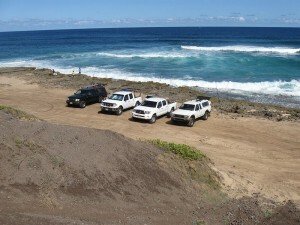 Although these are not historic areas for vehicle access, the proliferation of 4WDs and passenger SUVs has allowed fishers immediate access to the Kaena shoreline (see images in gallery here). 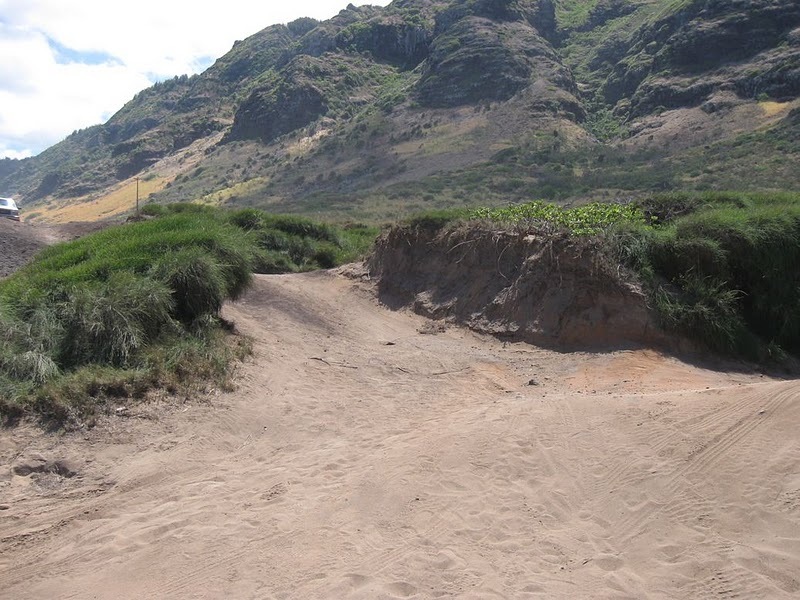 Although it is illegal to drive on the beach, the DLNR has been negligent in curbing beach-driving in Kaena- and users now believe it to be a right rather than an illegal activity. This Saturday, Oct. 1, will be the second of four proposed walk-outs to solicit input from Park users. The meeting starts at 9.00 AM from at the end of Farrington HWY parking lot and will cover the area starting from Manini Gulch to approx. the beach cove. Haleiwa Patagonia awarded Friends Of Ka’ena $1,500 for the 2011 Voice your Choice Award! Once a year, each Patagonia store receives $5,000 through Voice Your Choice to be divided among three pre-selected community environmental groups. Store customers then vote for the group whose work resonated most with them. Mahalo to Haleiwa Patagonia and all those that cast ballots in the third annual Voice Your Choice campaign. Friends of Ka’ena will use the grant to support school programs and restoration efforts at Ka’ena. 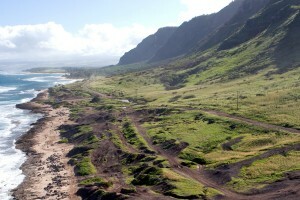 The Department of Land and Natural Resources (DLNR) is beginning the process of identifying which of the multiple dirt roads in the Ka‘ena Point State Park Reserve (west of Mokule‘ia) will be recognized as “designated” roads and therefore officially sanctioned for motorized vehicle use. 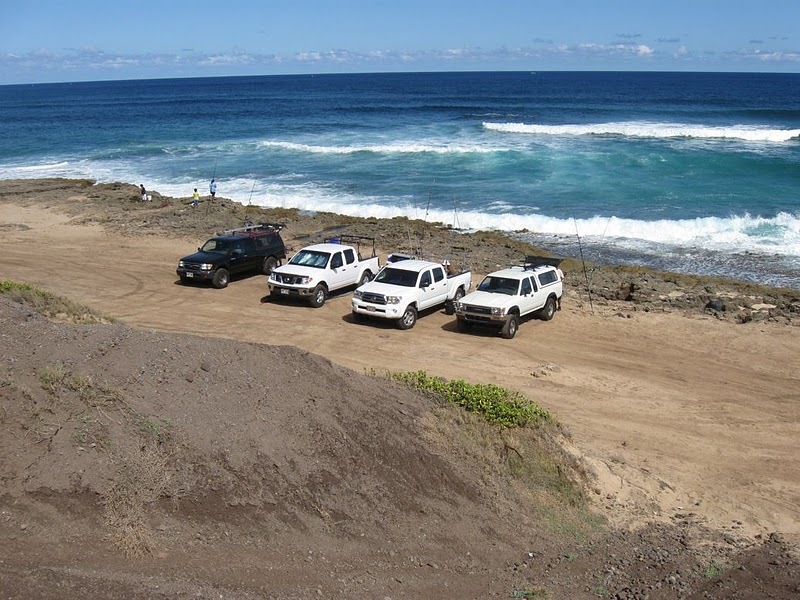 DLNR is inviting frequent Park Reserve users to assist in the selection of future designated roads by joining DLNR staff at the Ka‘ena Point Park Reserve on Saturday, September 24, 2011 for an onsite inspection and walk-through. This will be the first of four Saturdays during which DLNR staff will assess the condition and use of all existing roads and dirt tracks and with public input, begin the process of identifying roads that will remain in use and those that will be closed.